Paraguay has been called the world’s happiest country, which is no surprise given the beauty of the place. One of the reasons cited is the country’s cultural tendency to focus on positive aspects of life rather than dwell on any negatives. If you weren’t yet, I bet you’re planning that trip, now! There are plenty more reasons to visit Paraguay, which we’ll explore with you in a moment. But the one essential you need on your trip is some Paraguayan slang. Sure, you might get by with just regular Spanish, but your trip will be much richer if you learn some local lingo before you set off on your adventure. Let’s make a virtual trip to the wonderful country of Paraguay and learn some essential slang! Located between Argentina, Brazil and Bolivia, Paraguay is a landlocked country. Yep, that means it has no white-sand beaches, which might be a deal-breaker for some when choosing a vacation destination. But Paraguay has so much else to draw people in, that it’s easy to overlook this. Paraguay has some out-of-this-world amazing places to explore and so much to learn. 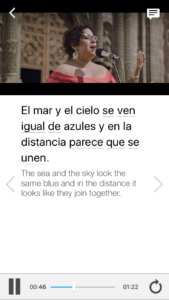 If you’re the adventurous type, consider checking out Ojo de Mar (Eye of the Sea). It’s a legendary, mysterious, green-water lagoon that’s a hidden oasis at the end of a jungle path. What’s not to love? 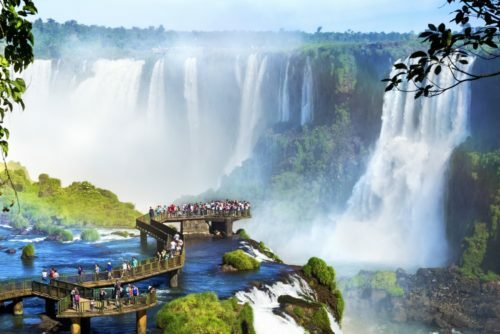 Or you can wonder at the impressive Iquazu Falls, the largest waterfall system in the world, which straddles the border between Paraguay, Brazil and Argentina. Are you a history buff? Head to Fortín Boquerón where the battle between Paraguay and Bolivia was waged in the 1930s. It was called La Guerra de la Sed (The War of Thirst) and given the dry climate, that seems appropriate! The fort is so popular that it has an active Facebook page. Indigenous arts and crafts can be found in Itauguá, a small town in the center of Paraguay. They’re world-renowned for ñandutí, a weaving style developed in the 1600s and still used today. The place sounds like a dream, doesn’t it? There’s something for everyone. It’s no wonder Paraguay is the world’s happiest country! Paraguay is a bilingual country. That is, they have two official languages: Spanish and Paraguayan Guaraní. The majority of the population speaks the indigenous language, Guaraní. It’s an old language whose survival is due in large part to the isolated nature of the country. That landlocked geography has been instrumental in keeping outside influence (which often affects languages) to a minimum. While Paraguayan Guaraní is taught in schools, many people speak what’s called Jopará—an everyday mix of Spanish and Guaraní. It’s the casual, conversational daily language. 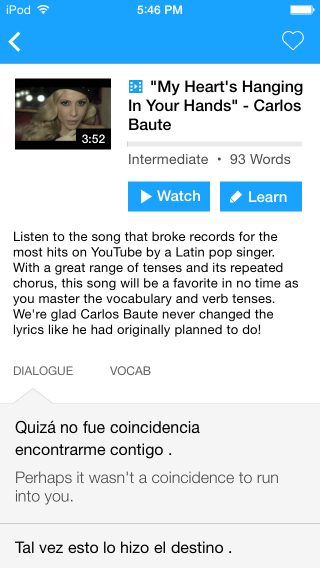 Paraguayans use the voseo form of verb conjugation rather than the tuteo form you might be familiar with. It simply means that vos (you) takes the place of the second person pronoun—instead of tu (you). 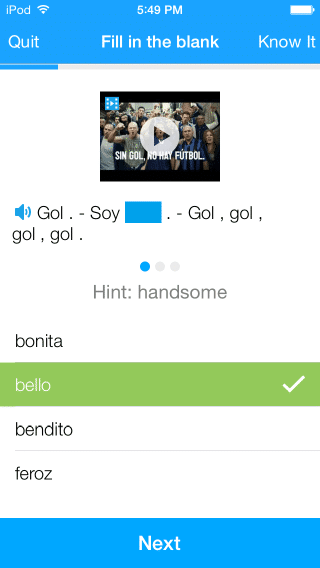 A few other countries use this conjugation variance, most notably Argentina and Uruguay. So along with the unique Paraguayan Spanish, what can you expect to hear in Paraguay? 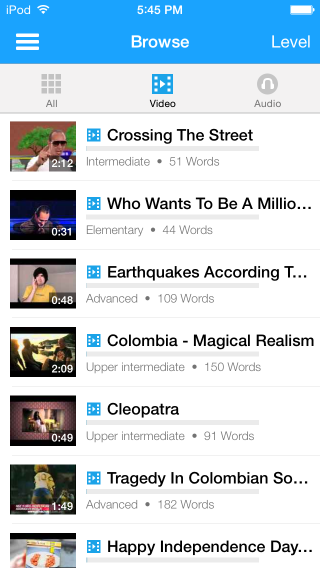 You’ll hear slang—and lots of it! Why Learn Paraguayan Slang When You Already Speak Spanish? 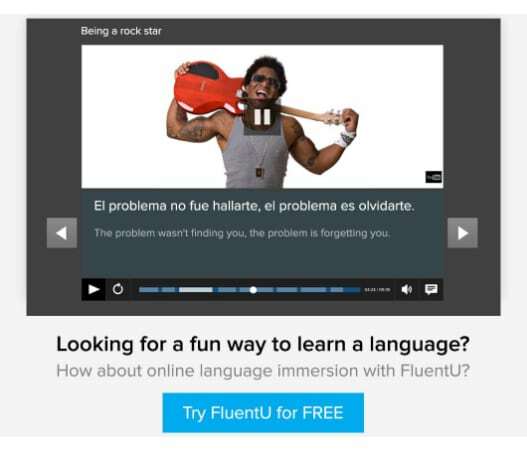 Spanish learned from a course is great. It gives us the ability to communicate effectively in the language. But honestly, if you’re going to another country, you should try to learn some words, phrases and expressions that are common in that place. It gives you a way to chat with locals with confidence. One of the reasons we travel is to get to know people in other parts of the world. Chatting without worrying about sounding like a textbook is a great way to cozy up to someone! Your global citizenship status informally increases every time you’re able to “fit in” when visiting a new place. Picking up some slangy terms definitely gives you an edge on that front. Paraguayan slang is often a combination of both the country’s official languages, so get ready to have some fun mixing it up! And if you’re not quite ready to hop on a plane and visit Paraguay, you can bring it to you with authentic content! 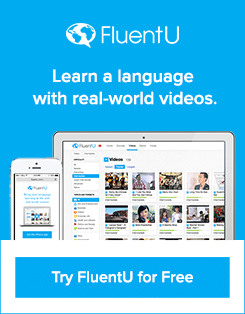 Check out FluentU for real-world videos—like music videos, movie trailers, news and inspiring talks—sourced from content created by and for real native Spanish speakers. Chake is a word that you kind of hope you don’t hear often. And if you do, pay attention to whatever’s going on, fast! It’s a word of warning that means to look out or beware—something’s about to happen and you may need to duck or get out of the way. A bagre is a type of catfish and while it’s not particularly attractive, it’s also not terribly repulsive. However, when the word is used as a slang term, it means that a woman isn’t attractive. In other words, it’s a way of saying a woman is ugly. It’s a combination of both official Paraguayan languages. From the Spanish word tranquilo (tranquil) and the Guaraní word pa (everything), this creative expression is used often and covers many situations. It’s definitely not specific to Paraguay—lots of Spanish-speaking countries use this expression—but it’s much more common than a formal greeting so it’s a good idea to get comfortable saying and hearing it. “¿Qué tal?” from a store clerk. “¿Qué tal?” from a bartender in the local club. “¿Qué tal?” from the kid who passes you in the street. See? It’s one of those heard-everywhere-from-everyone expressions. This is another word you probably don’t want to hear, especially if you’re of the male orientation. That’s because tembo’i refers to small male genitalia. It can refer to the actual physical item itself or it can be used as an insult. In Guaraní, adding i at the end of a word signifies that the object or person is little or petite. For instance, if you have a short friend named Lupe, you might call her Lupe’i. There’s one more point to remember if you’re considering bringing this one into your slang game: it can be easily confused with the word tembi’u, which is a casual food term. ¡El es un idiota! ¡Tembo’i! Haku is a reference to the weather that means it’s hot out. Given that Paraguay has a subtropical climate, this is a very useful expression! Purete means “cool” but has absolutely no connection to the weather. The bottom line? When you head to Paraguay, don’t leave home without some lingo. You won’t be sorry you added these cool words and casual expressions to your vocabulary. And if you want to practice your slang—and possibly learn a few more expressions—grab a language exchange partner. Then, go see the capital Asunción in vivid realism. Blend with the locals. Drink cerveza (beer), eat the Paraguayan bread called chipa and chat with everyone you meet. Who knows? The happiest country on the planet just might convince you to stay a while! 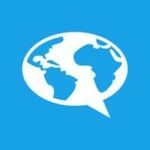 Live Stream Spanish TV and Speak Like a Telenovela Superstar!